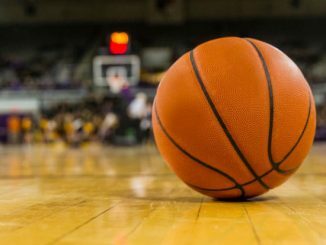 On Saturday night, the Tennessee Volunteers will travel to Rupp Arena to take on the Kentucky Wildcats in a top-5 SEC blockbuster matchup. 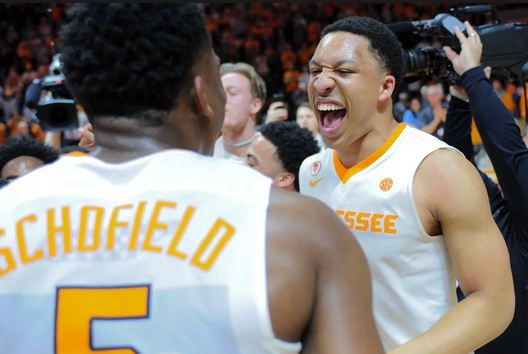 Tennessee is ranked 1st in the country with a 23-1 record and is in 1st place in the SEC. Kentucky comes in ranked 5th with a 20-4 record and is in 3rd place in the SEC. 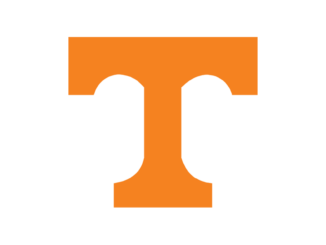 Tennessee is coming off an 85-73 win over South Carolina on Wednesday in a game where they led comfortably from start to finish. Admiral Schofield led the team with 21 points on 9 of 19 shooting and led the team on the glass with 10 rebounds. Jordan Bowden scored 16 points on 6 of 13 shooting. Kyle Alexander, Lamonte Turner, and Jordan Bone each had 10 points. Wooden Award candidate Grant Williams only scored 8 points but had a great game, grabbing 9 rebounds and dishing out a team-high 7 assists. Kentucky is coming off a 73-71 home loss to LSU on Tuesday. They led for most of the game, but LSU had a questionable tip-in at the buzzer to steal the win. PJ Washington led the Wildcats with 20 points on 7 of 13 shooting. Keldon Johnson added 16 points on 5 of 10 shooting, and Tyler Herro chipped in 12 points on just 5 of 13 shooting. Washington and Reid Travis tied for the team lead in rebounds with 9, and Herro led the team with 4 assists. Tennessee sports five players who average double digits. Grant Williams leads the charge with 19.4 points per game and is shooting 57.9% from the field. Williams is also the leading rebounder with 7.4 a game. He is followed by Admiral Schofield, who chips in 16.7 points and 6.4 boards each game. Jordan Bone tallies 13.2 a game and is the team’s leading assister with 6.5 a game. Lamonte Turner scores 11.7, and Jordan Bowden adds 11.5 a game. Tennessee puts up 85.4 a game on 51.5% shooting and holds opponents to 67.5 a game. Tennessee is 6-0 on the road this year. Kentucky is led in scoring by PJ Washington, who is scoring 14.4 points per game. Washington also leads the team on the glass with 8.1 rebounds each game. Keldon Johnson averages 14 points per game, and freshman classmate Tyler Herro is not far behind with 13.3 a game. Reid Travis pours in 11.6 points per game. Ashton Hagans leads the team in assists, averaging 4.4 helpers a game. The Wildcats have been putting up solid numbers this season. Kentucky averages 78.4 points per game on 47.5% shooting, and they are holding opponents to 65.5 points a game. The Wildcats are 13-1 at home this season.